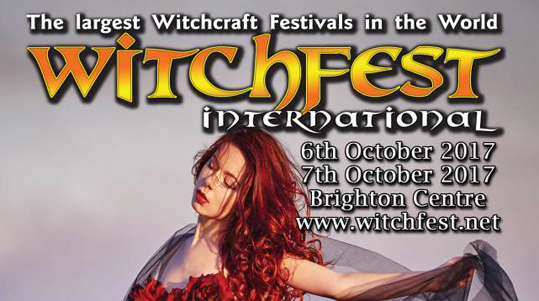 I've just bought my ticket for Witchfest International, which claims the record as the largest witchcraft festival in the world. It takes place in Brighton, on the Saturday 7th October 2017, and early bird ticket prices are available until the end of June - so you have until Friday to get one. After that, prices go up and they can sell out as it gets closer to the day. Witchfest starts with a gig on Friday 6th October, the night before the main festival. Throughout the day on Saturday there are talks, workshops, a market and entertainment; then in the evening there is live music and dancing until the early hours of Sunday morning.